Acupuncture has been used for thousands of years to treat various painful health conditions. Modern clinical science has shown that by using acupuncture needles to stimulate areas in the soft tissue that communicate with the nervous system (known as motor points), rapid change towards optimal muscle function and range of motion can be achieved. By balancing the function of agonist and antagonist muscle groups utilizing these strategies, strength, mobility, and coordinated activity can be optimized. This is especially important for athletes and active people who rely on very specialized movements. When areas in the kinetic chain are broken due to injury, inflammation, damage, etc. the ability to perform without painful compensation is compromised. Acupuncture can facilitate rapid repair to these breaks in the kinetic chain, much like fixing a damaged switch in an electrical circuit, and yield outstanding results in a short period of time. There is much talk about "dry needling" in sports rehabilitation these days. While this approach can prove helpful for some, it is a very different approach than acupuncture. While we are both inserting needles into soft tissue to facilitate change in the muscle function and alleviate pain, acupuncture is based on a far more sophisticated map of the body proven by several thousand years of clinical efficacy. In an acupuncture session utilizing Sports Medicine Acupuncture and other more traditional Chinese medicine approaches, muscle and soft tissue stimulation is paired with acupuncture point combinations to deliver more profound and longer lasting effects. Additionally, you are not just your muscles. Traditional and sports medicine acupuncture methodologies always take a more holistic approach to achieving health, rehabilitation, and balance in the body by taking more global physiological diagnostic information into account during each therapeutic session. In an ideal world we are never sitting for hours behind desks or in cars. We know precisely how to move to generate power while remaining aligned and safe from injury. We are supple like leopards and our skeletons and muscles function optimally without pain. We rarely get injured and when we do we know how to help our bodies get back on track. In the real world, this is just not the case. We put our bodies regularly in positions that compromise our posture, our structural integrity, and our ability to perform optimally without injury. We unknowingly rob ourselves of the opportunity to perform our best. Additionally, when we get injured, we don't even realize what we do to compensate for our injury and pain and lay additional problems in our structure and mechanics that sabotages our ability to heal fully. Through the use of postural and functional movement analysis your weak or compromised areas can be revealed and specific exercises can be applied to effectively correct imbalances. By mobilizing (freeing tissue adhesions, improving circulation, and increasing range of motion utilizing simple tools and techniques) your soft tissue you begin to eliminate the road blocks laid by years of poor posture, compromised body mechanics, and injury. You become empowered with tools to take care of your body every day and be proactive in your performance or rehabilitation. For over 3000 years the technique of applying cups via heated suction to the skin has been used in cultures around the world. This technique has been seen in the media on several Hollywood stars and professional athletes. Cupping essentially mobilizes fascia that is basically layered between the skin and the muscles and moves stagnant blood and metabolic waste from the tissue. By bringing these fluids to the capillary beds closest to the skin (hence the common discoloration in the skin post-cupping), the body can more readily transform these fluids and flush the painful or damaged area with clean, oxygenated blood. Additionally, adhesions that are present between the muscles, fascia, and skin can be eliminated increasing mobility and circulation while decreasing pain. This technique has not undergone much scientific investigation however 3000 years of clinical efficacy has supported its necessity in the therapeutic setting. Tui na (pronounced "twee nah") is a centuries old therapeutic massage system that is used to treat specific physical problems rather than for relaxation or spa-like experience. It utilizes various unique techniques for manipulating soft tissue, improving circulation, reducing pain, and aiding in the healing process. Tui na is considered to have a very important medical function in China and entire departments in public hospitals are often dedicated to this practice. At Summit Sports Acupuncture we utilize Tui Na as an adjunctive therapeutic tool during each session. Sometimes, if a patient is afraid of needles, we will utilize more tui na, coupled with other techniques like DCT and corrective exercise to facilitate rehabilitation and introduce the needles as the patient becomes more comfortable with the idea of acupuncture. Tui na is a more rigorous form of bodywork involving passive range of motion, PNF stretching, joint manipulation, acupressure, "rolling", "pushing", "pulling", and "grasping" techniques for soft tissue manipulation. While this form of therapy is intense and designed primarily for rehabilitative purposes, many people find it very enjoyable when injured because they "feel it working". DCT is a system that evolved from PNF (Proprioceptive Neurological Facilitation) stretching yet exceeds its ancestors in results. The DCT therapeutic sequences are feedback driven and custom to the needs of each individual. Beyond creating mobility in the tissue and promoting circulation, kinesthetic awareness is improved and kinetic chain sensitivity is increased which is very helpful in injury prevention and self care. Additionally, sarcomere function is restored and new gains in functional strength are achieved. Martial Arts teachers and ancient trauma doctors have known for centuries the healing power of plants. Medicinal liniments or trauma wines (Dit Da Jiu in Chinese) are specific (and often secret) herbs that have been soaked in alcohol until the active constituents are thoroughly extracted. The resulting liquid can then be applied to the areas of injury via rubbing, soaking, compresses, etc to accelerate healing of the damaged tissue. These liniments have strong (but very safe) anti-inflammatory, blood invigorating, pain relieving, tissue mending properties that make them a very effective and important (but not widely known) part of modern sports medicine. 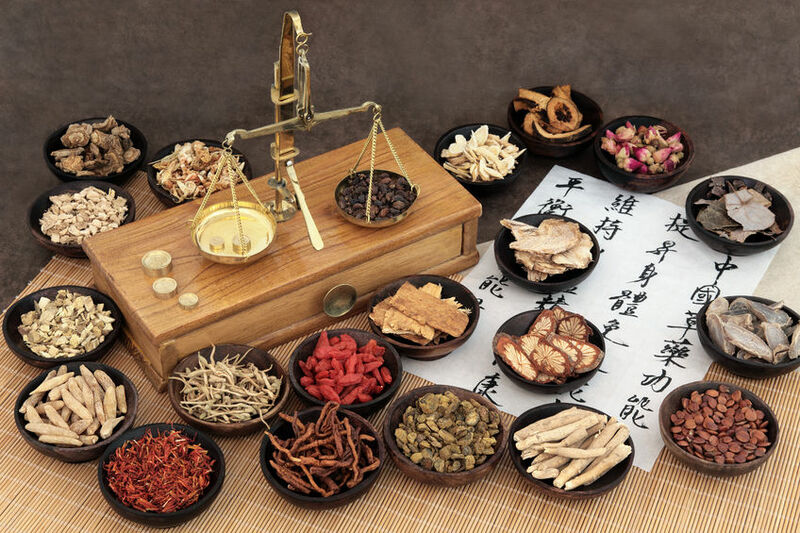 Additionally internal Chinese herbal remedies are employed to aid in tissue repair, alleviate pain, and restore health and balance to the body. We unfortunately live in a time in which it is very difficult to get proper nutrition. Due to agricultural practices, busy schedules, poor dietary choices, etc. we have gaps in our diet leading to deficiencies in our necessary nutrients. Additionally, to maintain healthy biological function and perform at our very best we need assistance from vitamins, minerals, and herbal concentrates. Eating a balanced whole food diet rich in vegetables, proteins, healthy fats, and antioxidants from certain fruits is the foundation to any nutritional program. The mortar that fills in the gaps is a supplement program that fits your specific needs. Choosing supplements can be daunting. Potency and quality control is variable and often inadequate at best. Summit Sports Acupuncture works exclusively with Pure Encapsulations, one of the best nutraceutical manufacturers in the world to provide you with the nutritional program you need to achieve peak performance.